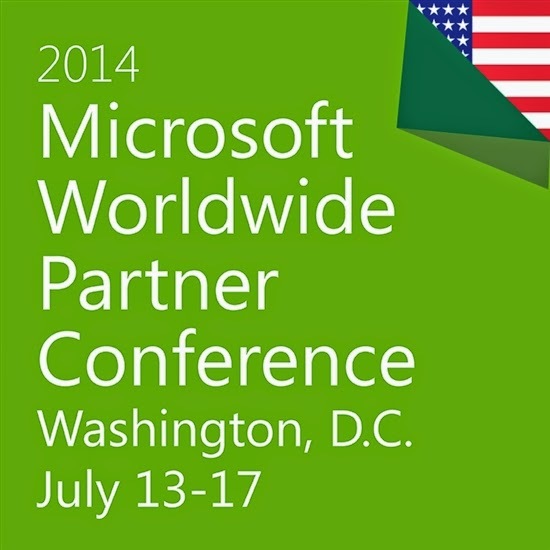 I attended the Microsoft Worldwide Partner Conference (WPC) earlier this week in Washington D.C and I wanted to take this opportunity to share my impressions. An annual event, this year’s conference had over 16,000 attendees who earn their living from selling Microsoft-based solutions. The highlight of the conference was a passionate, vision keynote from Microsoft CEO Satya Nadella. This was my first time attending the Microsoft partner conference as part the IBM MobileFirst team which includes software, services and partnerships including the Apple/IBM partnership which was announced on Tuesday. Key topic areas for the conference included cloud, big data, mobility and devices and enterprise social which are the key technologies that are fundamentally transforming our industry and the world. Even before the conference kicked off on Sunday, we had a sense, albeit high-level, of where the new Microsoft is headed. On Thursday, July 10, Microsoft CEO Satya Nadella sent an company-wide email which he published to the web titled “Starting FY15 – Bold Ambition and our Core.” In the email, Mr Nadella outlined his vision for Microsoft and the evolution from a “devices and services company” to “productivity and platform company for the mobile-first and cloud-first world.” The e-mail was short on specifics, as was Mr. Nadella’s keynote at WPC but it did mention that more details would be shared on July 22 when quarter-end earnings are released. From Monday’s opening keynote, Microsoft acknowledged that while they were once the leaders, they were now the challengers, particularly in mobile, and they stressed the need for change. Like any large company, it’s difficult to change overnight and re-organization and restructuring is required to align the company with the new strategy and its new CEO. I was encouraged, however, with Microsoft’s decision on Thursday to drop its Android-based Nokia X-line of smartphones and focus its efforts on Windows Phone. Microsoft still has work to do to consolidate Windows Phone/Windows and RT platforms. However, I am encouraged that the same mobile application can run on both Windows Phone 8.1 and Windows 8.1 without the need for re-coding. Although it took time, Microsoft is now delivering solutions for competing mobile platforms including the newly-released iPad-specific versions of Powerpoint, Excel and Word which are excellent. I use these applications regularly on my iPad Mini as part of my Office 365 subscription. I’m looking forward to an the upcoming Android version. Microsoft needs to deliver the same touch versions of Office to Windows tablet which are now lagging in usability. Windows 9 “Threshold” While not specifically called out or demoed, sharp eyed attendees got a glimpse of the new Start menu and more when executive were presenting other demos. Mandarin Oriental Hotel demo of guest services (room service, transportation, TV and room controls) available via Surface Pro 3 tablet in each guest’s hotel room. Azure and Office 365. Office 365 is Microsoft’s fastest business ever with over 4 million paying customers. No hardwire video output capability. Miracast wi-fi is supported. This is an issue for me as it would be great to connect the tablet to an overhead projector to present to clients.